To really know an aircraft you have to, of course, fly it and Captain Brown has flown more aircraft ..
Wings of the Luftwaffe - Flying the captured German aircraft of World War II By the legendary Cap.. 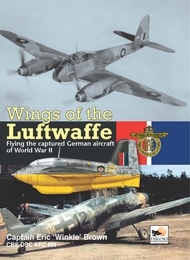 This book, by well known test pilot Eric Brown is dedicated solely in content to the Luftwaffe plane..
During more than two decades of uninterrupted flying Eric ‘Winkle’ Brown enjoyed the most extraordinary career of any test pilot and no pilot has a logbook with list a greater variety of aircraft types flown. The first naval officer to head the élite Aerodynamics Flight at the world renowned Royal Aircraft Establishment, Farnborough, `Winkle` Brown fulfilled his childhood ambition to fly German aircraft. Indeed, he was to fly no fewer than fifty-five individual German aircraft types, ranging from such exotic creations as the push-and-pull Dornier Do 335 and the remarkable little Heinkel He 162 Volksjager to the highly innovative combat types that were entering the inventory of the Luftwaffe shortly before the demise of Germany’s Third Reich. ‘Winkle’ Brown also interrogated many of the leading German wartime aviation personalities, such as Willy Messerschmitt, Ernst Heinkel, Kurt Tank and Hanna Reitsch. 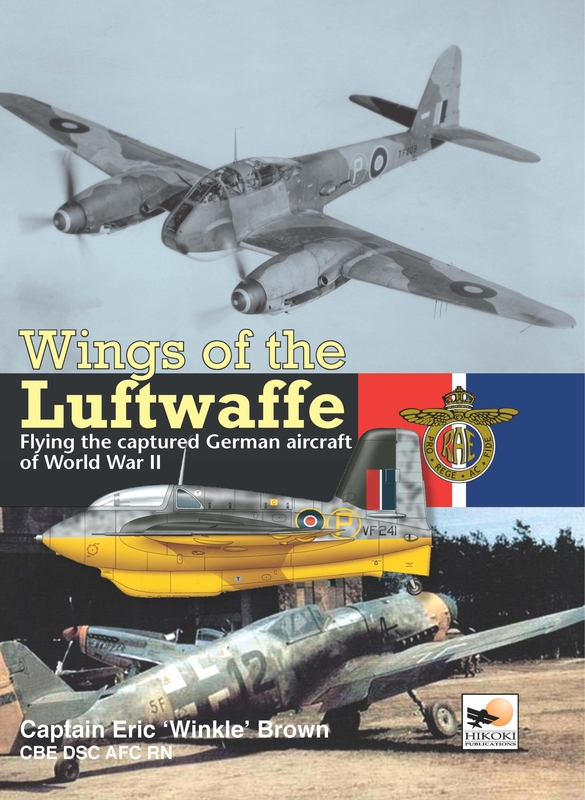 From his unique knowledge of German aviation, ‘Winkle’ Brown has selected the most important and most promising aircraft employed by the Luftwaffe and those evolved for that air arm in Germany during World War II – the true wings of the Luftwaffe. He describes their background and characteristics, and together with over 200 photographs, colour profiles and sectional drawings provides an in-depth assessment of the contribution made to the annals of military aviation in the late 1930s and early 1940s by an aircraft industry that proved itself truly second to none in ingenuity.